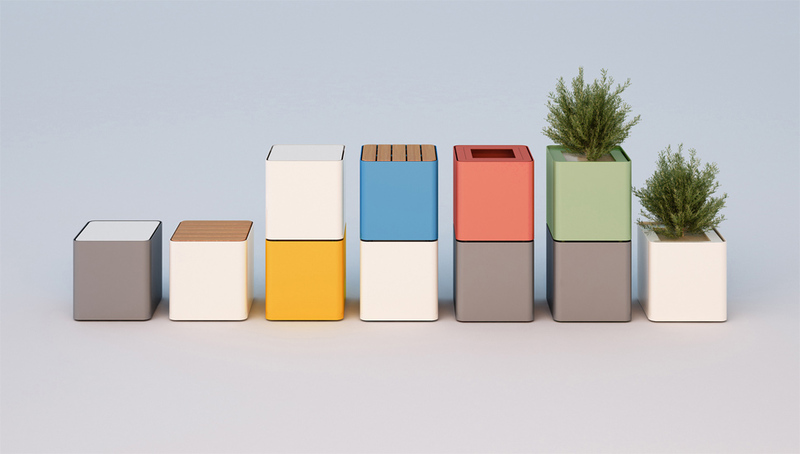 Essential shape, clean design and modularity are the basic ingredients behind Cubik. A range of elements functionally designed starting from a basic module and its repeatibility, that generates other product typologies. The design output is a simple-but-intriguing, strict-but-playful product family. Several typologies, wide color range and the use of wood to enrich some details creates that vivid and colorful landscape we imagine for public (but also private) spaces of our cities.